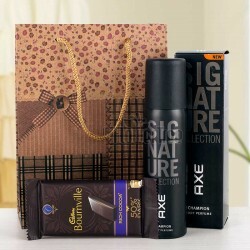 If you are looking for grooming sets for Father's day, then you have ended up at the right place indeed. 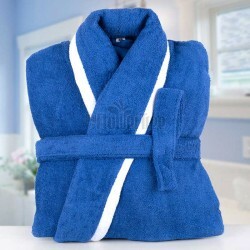 We have many gifting options for you to choose from be it shaving cream, deodorants, perfumes, aftershave lotions, face washes, bathrobes, and so much more.. Order now! Fathers can be contradictory creatures to work with. When it comes to grooming, he cleans up neat, is attentive about his appearance. When it is about little self-indulgence he never cares to splurge on himself. 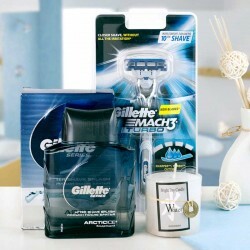 For the special day that celebrates all that he's done for you, gift your Dad that he can use to pamper himself. You can choose some Grooming Kits For Dad that serve well both the contradictions and groom him well without burning a hole in his pocket. Talk of grooming products, and men tend to feel left out. But no more! Nothing shouts Father's Day like forcing Dad to take better care of himself. This father's day upgrade your old man's bathroom cabinet with one of our phenomenal grooming sets. With Father's Day approaching, our Father's Day Grooming Sets pose as perfect presents for the important man in your life. Our kits constitute Masculine fragrances, shaving essentials, and practical skincare to pamper all gentlemen this holiday season. Your Dad deserves a little something special to mark the occasion, after all the years of tough labour of dedication that you have put him through. Luckily enough for all the procrastinators in the house, there still is time to pick up something that might be worthy of use to him. Even if he is not the fancy kind, it is definitely time to spruce things up, with our Father's Day Grooming Kit for the handsome dad. Just log onto our user friendly website and scroll through the amazing collection of men's grooming kits we have on display. All the products listed on the website are packed well and delivered in good condition. 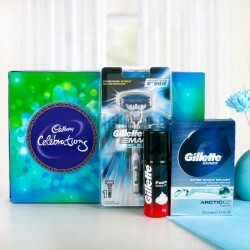 Pick out on the most favourite kits you come across and sign up for a Father's Day gift delivery. 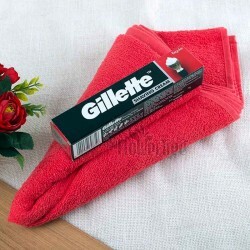 Besides Fathers Day Grooming Kit, you can also take a look at our wide range of fresh flowers, cakes, chocolates, cookies, decor and other lifestyle gifts that we have to offer. We offer gift delivery, next day and midnight delivery for special occasion in towns across the county. Reach out to near and dear ones like your father and make him feel as loved as he did when you were a kid. Elevate the celebration level this Father's Day with MyFlowerTree. Products in this category have been rated 4.8 out of 5 based on 106 reviews.